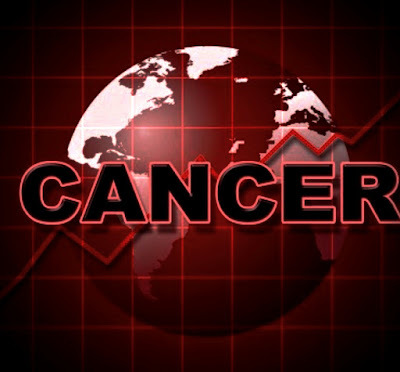 I am probably not the only one to have noticed that the "short-named" viruses seem to be making all the headlines over the cancers and "mouthful-named" diseases. From the Ebola virus to Lassa, the last couple of years have witnessed deadly outbreaks of these viral hemorrhagic fevers in different parts of the world...meaning we should be taking them seriously. Over the last couple of weeks, the Zika virus has been spreading aggressively throughout Latin America and with global infection rates rising, the world is very much at alert to learn more about the emerging disease. Zika virus is a mosquito-borne viral disease that was first identified in rhesus monkeys in Uganda, East Africa in 1947 through a monitoring network set up for yellow fever at the time (Zika belongs to the same viral family-Flavivirus as the yellow fever and dengue virus). It was subsequently found in humans in Uganda and Tanzania 5 years later. Since then outbreaks have been recorded in the Americas, Africa, Asia and the Pacific. It is spread primarily through the bite of an infected Aedes mosquito (which usually bites during the morning and late afternoon/evening hours. Playing odds... you probably would not know if you were bitten and got infected, because only 1 out of 5 people develop symptoms...How Nice! The incubation period is thought to be about a few days and those who develop symptoms get fever, red eyes, rash, headache joint pain, and malaise which resolve within a week.Oh then, Whats all the noise about right?? The Zika virus has been associated with miscarriages and birth defects, specifically microcephaly which is characterized by severe mental and physical disability in the newborn. That to me would mean, that ladies who are pregnant or intend to get pregnant should not be heading towards countries like Brazil, Colombia, El Salvador, French Guiana, Guatemala, Haiti, Honduras, Martinique, Mexico, Panama, Paraguay, Suriname, Venezuela, and Puerto Rico at this time. First is to do all you can not to get bitten by a mosquito. Application of insect repellents as well as wearing of protective clothing, (since Aedes bites in daylight as well) will definitely be beneficial if travelling to the tropics or any of the affected nations. Your Doctor may also consider prophylactic medications. Those infected are advised to get plenty of rest , drink adequate amount of fluids and treat pain and fever with common medications. No vaccines are available presently. Even though Zika is not some new virus, there is still a lot to learn regarding our understanding of the virus, its association with other medical conditions and other dangers to pregnancy especially with its continuing spread to new areas and rising worldwide concerns. Just less than 2 years after the Ebola virus hit the Nigeria and other countries in the West African region, Lassa fever, another viral hemorrhagic fever, with similar symptoms as Ebola broke out in the country. Lassa fever is an acute viral illness first discovered in Nigeria in 1969 when 2 missionary nurses died from the disease. The virus was subsequently named after the town in Borno State, Nigeria where the first cases occurred. The virus belongs to the virus family, Arenaviridae, a single stranded RNA virus which is animal borne and usually associated with rodent transmitted diseases in humans. 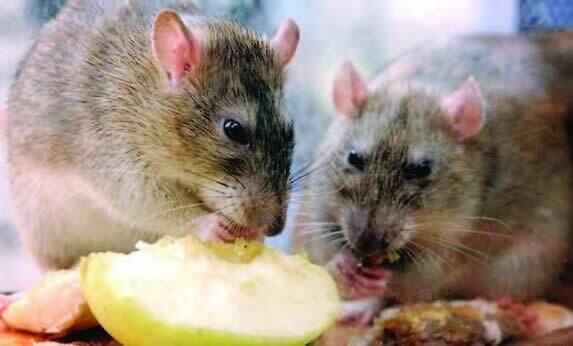 It is endemic in parts of West Africa including Sierra Leone, Gambia, Liberia and Nigeria notably but the risk is spread throughout the region where the disease vector, the multimammate rat (Mastomys Natalensis) is distributed. Lassa virus is transmitted to humans by contact with excreta or urine of infected rats. Lassa virus is transmitted to humans by contact with food or household items which have been contaminated with excreta or urine of infected rats. Since the disease is endemic in rodent population, it tends to affect communities with poor sanitation and crowded living conditions the most. Hence it is sometimes referred to as a "disease of the poor". The present outbreak of Lassa Fever broke out in Nigeria, August 2015 and reports show that it has claimed up to 63 lives as at the January, 24, 2016 out of over 200 suspected cases spread across 17 states in the country including the Federal Capital Territory, Abuja. Nigeria's Health Minister, Professor Isaac Adewole, stated that 212 suspected cases have been reported in the last 3 months. While the world's most populous black nation was praised for its prompt containment of Ebola in 2014, things appear a little more complicated in the case of Lassa , as many stakeholders including specialists have raised concerns ranging from ignorance of the disease among the vulnerable communities, leading to under-reporting of the cases and under-mining the scale of the outbreak , and even the capacity of the country's healthcare system to deal with the outbreak at this time. These are valid concerns, considering the "skeletal" state of the country's primary health care system and the lack of access to adequate health care in the vulnerable regions. The country reported 112 deaths and over 1700 cases of Lassa fever in 2012, yet in a population of over 170 million people, there is only one research center in the country to cater for Lassa fever research. As far as comparison with Ebola goes, Lassa fever is not necessarily as deadly, but it spreads faster. Meanwhile, while Lassa fever has exposed the level of preparedness of the nation's health care system to cope with such outbreaks, the WHO and US CDC are working with Nigeria Health Ministry in containing the outbreak. 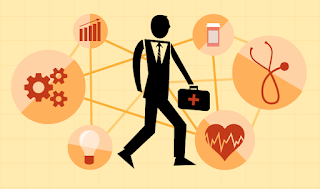 Medicine and entrepreneurship are not two words you will commonly find in the same sentence, but whether we like it or not Medicine and Healthcare are essential fields of human existence and hence should call for "good business" for stakeholders. This featured post highlights tips that can make a successful Physician Entrepreneur out of most. 5. Small Beginnings: Don't be scared to start right where you are. 6. New ways: Seek new and more efficient ways. There are many ways to practice physician entrepreneurship or intrapreneurship, so take a high level view. Create user defined values not companies. 8. Mentoring: Those who have gone ahead and succeeded, do have a lot to share. Find a mentors or probable sponsors. 9. Learn the Ropes: There are always more brain cells to engage. Get as much business "clinical" experience as possible, realizing that the initials after your name really do not mean much. Start to come down off the mountain. Don't expect everyone to welcome you with open arms. People WILL FEAR YOU OR HATE YOU. So, may feel threatened , but as long as that little voice in your head whispering entrepreneurial sweet nothings seems to be getting louder and louder, take the next steps and enjoy the journey. With any luck, it will be a lengthy and successful one.